Optum Walkin Drive For Freshers in Noida, Gurgaon – 18th March 2017. Optum Job openings for B.Com, B.A, BBA, BMS students as Associate, Senior Associate – (NonTechnical). Interested and Eligible Candidates practice Optum Placement Papers before attending the Interview, so that you can crack the test easily. Candidates who want to build their career in an appropriate manner they can grab the chance and enhance their career. Interested Candidates can directly attend the drive at below mentioned venue. Generally, Candidates will be selected for the Position only if they perform well during the Selection process. In this post candidates who are willing to attend can check out Optum Placement Papers and MNC Online Test Pattern for better Preparation. Candidates can also check other IT Jobs on our site All India Jobs for more updated and fresh Official Information. Optum Walkin Drive For Freshers in Noida, Gurgaon – 28th Feb 2017. Optum Job openings for B.Com, B.A, BBA, BMS students as Associate, Senior Associate – (NonTechnical). Candidates who are preparing to attend Optum Walkin Drive can refer Placement Papers which will be helpful for the Applicants to prepare well and can improve their chance of getting selected in the Recruitment Process. Interested and eligible candidates can see the further details which are mentioned below. Candidates who had completed their Graduation in B.Com, B.A, BBA, BMS stream can grab this golden opportunity on or before the last date. It is highly Appreciable if candidates check Official notification before applying for the Vacancy/Paying the Application Fee. As we all know comparing to the previous years this year competition for Jobs had increased immensely. So there will be tough competition for this Recruitment. Candidates are advised to check MNC Online Test Pattern so they can prepare confidently and can easily crack the Recruitment of Optum Recruitment 2017. B.Tech, B C A, M C A fresher and regular MBA are not eligible. U.S HEALTHCARE / Experienced candidates are also welcome. If you’re going to change careers, why not look for an employer that’s out to change everything? If you have that kind of appetite for change, Optum is the right place for you. As part of the growing UnitedHealth Group family of businesses, we’re driving innovation and change all over the world. That’s creating opportunity right here in India for people with energy, passion and a focus on quality. We’re driven to help people live healthier lives and to help make the health care system work better for everyone. We want to make a difference and that makes this the one job opportunity that can change everything for you. As part of UnitedHealth Group, a Fortune 6 company, Optum is a leading health services and technology company dedicated to helping make the health system work better for everyone. With more than 115,000 people collaborating worldwide, Optum combines people, technology, data and action to improve the delivery, quality and efficiency of health care. This work takes all of your commitment, skills, passion and energy. It’s hard to become #1 and even harder to stay in the lead. That’s why we rely on a set of fundamental principles that are guiding our way forward. Our values of integrity, compassion, relationships, innovation, and performance serve as a foundation to transform health care. 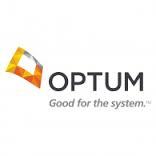 We hope the information provided on Optum Recruitment is helpful for your job search. If this job doesn’t suit you then you can look for more Freshers Jobs in our Website. Keep visiting All India Jobs for regular Job Updates, off campus drives, walkin interviews, referral and many more.